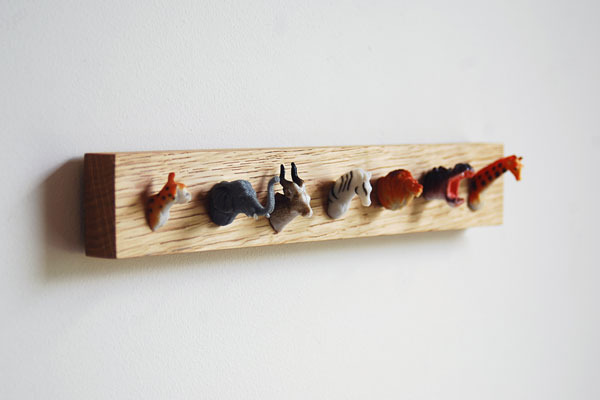 Animal heads as hooks… why not? Available here. You find the best stuff! This is the sorta thing you’d find in Anthro (if they had a kid’s section). This is my design, thanks for posting!